Click a picture for details. When finished shopping click "checkout" at top far-right. To read the history and how to design with briolette beads click here. Sorry, we are currently sold out of 'Bright Ruby Red Briolette Glass Beads'. Please check back later. 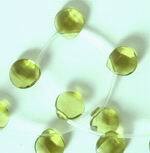 Sorry, we are currently sold out of 'Enchanting Faceted Peridot Quartz Teardrop Bead Strand'. Please check back later. Sorry, we are currently sold out of '7 Passionate Lavender & Green Jade Teardrop Beads - Large'. Please check back later. Very Long Teardrop Red Carnelian Beads - Unusual! Sorry, we are currently sold out of 'Very Long Teardrop Red Carnelian Beads - Unusual!'. Please check back later. 3-Tone Amber Faceted Briolette Beads - Unusual! Sorry, we are currently sold out of '3-Tone Amber Faceted Briolette Beads - Unusual!'. Please check back later. 52 Lush Blue Turquoise Briolette Beads - Heavy! Sorry, we are currently sold out of '28 Deep Passionate Red & Green Ruby Zoisite Teardrop Beads'. Please check back later. 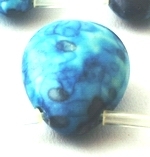 Sorry, we are currently sold out of '22 Sleet Aqua-Blue Rainflower Viewing Stone Teardrop Beads'. Please check back later.